This desert biking tour is great for those looking to explore Oman’s scenic landscapes and get an authentic experience that is far from the city crowds. We meet up and start at the Al Hamra shopping street from where the group along with their cycles travel via car to the starting point. 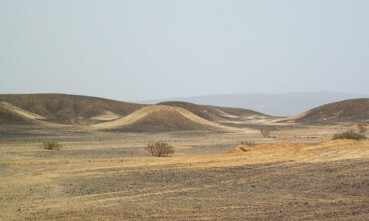 Travelling through the spectacular landscape we arrive at the edge of the huge inland desert of Oman. We disembark where the desert landscape meets the surrounding hills at an area which is called Ras Al Jabal or 'the head of the Mountains'. The trails we follow are smooth and wide. However, the sand being blown across the desert tends to accumulate on the path and this can make cycling here somewhat more challenging. 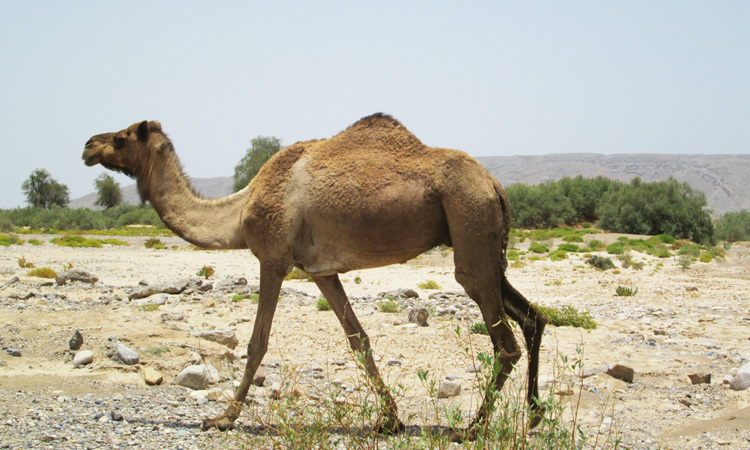 The areas we will cross are very sparsely populated and you are likely to come across more camels than people through the day. It’s a profound and intimate experience cycling through the Omani outback, where you are closest to nature under the blue skies cycling in solitude through vast undisturbed stretches of barren valleys and arid wilderness. Amid this deserted landscape, you will find little sign of human civilization, even the nearest shop is around 30km away. Thus the group is escorted by a support vehicle closeby which carries food, water and emergency supplies. Halfway through the tour, about 17km in, we will stop at a small camel farm where we will take a break from cycling through the Ras Al Jabal and adjourn for lunch and some exploration. At the farm, they breed and train camels and one can often spot cute young camel calves, which makes for one of the best photo opportunities on this Outback cycling tour. Post a leisurely lunch we set out again. After cycling for 20km through the arid landscape dotted with hillocks and the occasional tree, we arrive at a small village. Here we will get back onto a paved road and head back towards Al Hamra. At this point, everyone has the option to either take a car ride back to Al Hamra or cover the remaining 25 km by cycle. 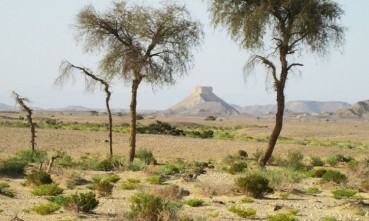 Our MTB bike tour ends when we reach Al Hamra. Transportation charged extra as per trip. Please coordinate over email or telephone with the guide prior to booking the tour. Meet the tour leader outside Bank Muscat, Al Hamra, where we will get ready and check our bikes before we start the tour. This cycling tour follows fairly easy paths and we will cover around 50km on this Water Trail Bike Tour. We quickly come across a small spring that has sprung up high up in the mountain and we will cycle on the narrow mountain path that runs beside it. We keep following the spring downstream till we reach the Tanuf Mineral Water Factory. Here we will take a tour of the factory to see how the bottling and packaging of mineral water takes place. We then start cycling towards Kamah, a tiny village hidden away in an oasis situated right on the foothills of the majestic Al Hajar Mountains. We break for lunch at a picnic spot with spectacular views. After finishing up with lunch we will explore the village to gain a better understanding of the life here. 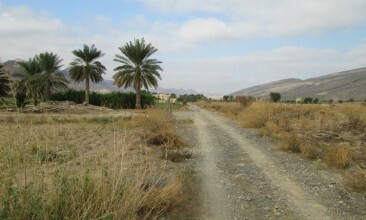 We will also take a tour of the traditional aflaj irrigation system of Oman. Post the village tour we’ll return to Al Hamra by car. After assembling at Al Hamra to meet our representative at Al Hamra, the group travels via car to the starting point. Travelling through the spectacular landscape we arrive at the Tanuf Ruins. If you wish to experience the natural beauty of Oman, the Missing Link Bike Tour is the ideal tour for you. Meet our tour leader at Al Hamra and start a journey to Wali al Ala after getting the briefing. Wadi al Ala is a beautiful Wadi(valley) hidden away deep in the mighty Al Hajar Mountains; A secret haven which has managed to escape the mainstream tourist rush. On this tour, we get a taste of off-road cycling in the mountains of Oman. The stunning contrast of the concrete road and harsh desert scrubs giving way to lush green trees and foliage as we enter the Wadi is one of the highlights of the Missing Link Bike tour. We take a break for picnic lunch at the green valley of Wadi Al Ala so you can sit back and admire some greenery. We take the same route while returning back to Al Hamra.